Comments: Another selection of the ghost series selected by Talon Buchholz. 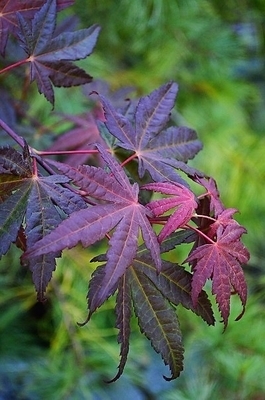 Leaves show more purple and red than the other selections, but still has the prominent reticulated leaf quality. Fall color is a stunning orange-red.